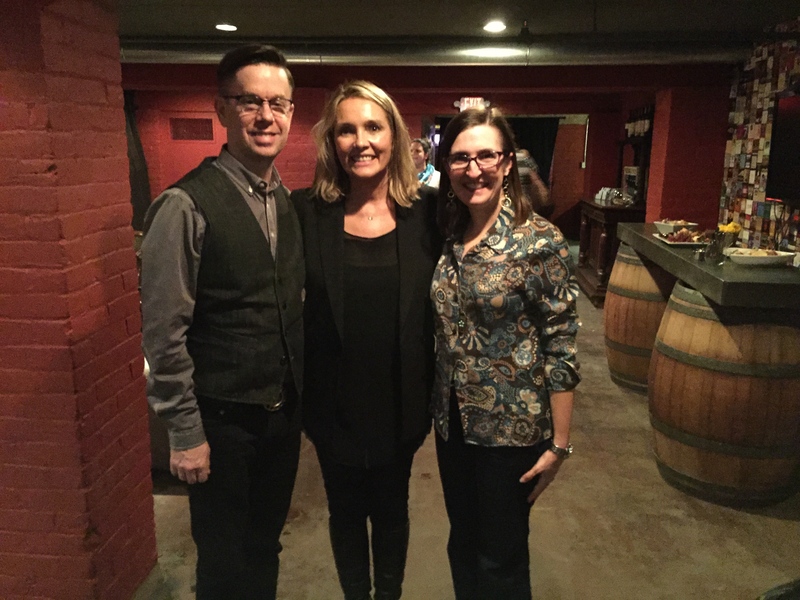 Exclusive Wine Tasting – The Donum Estate with Anne Moller-Racke. There are only two days left until our next tasting event at The Red Room Lounge. The Donum Estate will be showing their wine collection for an exclusive tasting on Friday, November 7th. Anne Moller-Racke, President and Winegrower of The Donum Estate, will be in attendance to discuss the wines showcased at the event. Anne is also the Featured Winemaker for The Wine & Food Foundation of Texas’ Rare and Fine Wine Auction that will take place in April 2015. We have visited the Red Room Lounge on 3-4 occasions prior to this event, but never for a wine tasting. This place is so unusual and fun, and we always feel an excited energy in the room. The front door on 3rd street has only one red light that is lit when it’s open. You step into what looks like a speakeasy, wishing you had a red carnation for entry. As you step down into the establishment, the dark and cozy atmosphere is romantic and hushed, but with a fun energy of the those who serve you. The decor is a mix of ancient artifacts and signed electric guitars–yes, unusual and fun. 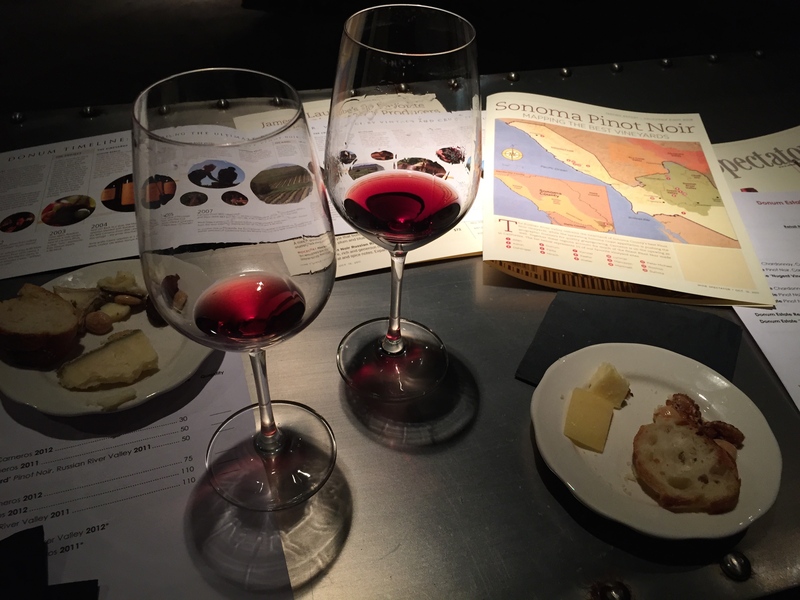 After the pain of facing Mopac traffic and parking downtown, we were treated to a fascinating tasting of California wines (mostly Pinot Noirs) from the Russian River Valley area of Sonoma. The set-up featured a table set with eight wines available for tasting. Ms. Moller-Racke graciously poured and shared information about each wine. A lovely spread of cheese, nuts, olives and dried fruit was also provided to enjoy with the wines. We found a comfy corner of a couch to plant ourselves on for the duration of the tasting. It is an activity that invites the use of multiple senses. It is a process that provokes uninhibited thought and conversation with friends and those closest to you. It is an amazing learning process – life long learning – yeah! It brings you close to nature and the humans that nurture and celebrate the earth. This “hands down” jumped to the top of our list. What an amazing wine! luscious, velvety texture with a voice that quietly says, “I’m a Pinot and I know it.” A Pinot that touches your soul and reminds you that God speaks through these grapes. During the course of the evening, Ms. Moller-Racke visited with us several times. We mentioned to her that we had recently become quite fond of Oregon Pinot Noir, and she was eager to hear our thoughts about her wines. So charming and approachable, Ms. Moller-Racke was happy to chat with us about her wines and the area of Sonoma she calls home. She also shared some great travel tips for visiting the region.